It was a high-risk pregnancy, a premature birth and a stressful time for Aldergrove parents Eleanor and Dan Poirier, as their newborn girl Skyler arrived on October 30, 2013, at less than 26 weeks, weighing just 1.5 pounds. While the expert team at Royal Columbian Hospital’s neonatal intensive care unit quickly took over Skyler’s care, the hospital also helped the parents deal with another source of anxiety: finances. Eleanor knew she would require a breast pump, since premature babies can’t always nurse effectively. She would need to pump every three hours for what would turn out to be months. While the device was a necessity, the cost was a concern for the couple. Thankfully, assistance was available. Royal Columbian Hospital Foundation established the Maternity/Infant/Child/Youth Emergency Response Fund several years ago to provide families some help with basic needs while their child or pregnant mother is hospitalized at Royal Columbian. The fund covers costs such as breast pumps, grocery and gas vouchers, transit tickets and accommodation. Variety – the Children’s Charity provides an annual donation to support families from outside the Lower Mainland who need Royal Columbian Hospital’s help. Families like the Poiriers who live closer to the hospital can seek help thanks to the CKNW Orphans’ Fund. A social worker presented Eleanor with her donor-funded breast pump as the mother was discharged from hospital after a few days. Skyler, on the other hand, would need to stay in the neonatal intensive care unit for three and a half months. Since the parents travelled to the hospital daily to be with their baby, the fund also provided them with gas vouchers. 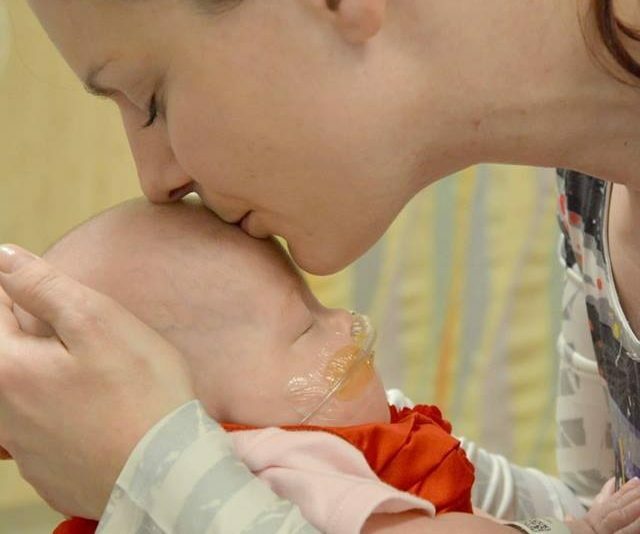 Meantime, Skyler was given critical care, including breathing support from a specialized ventilator and a controlled environment inside a high-tech incubator while she grew stronger.